» The Garmin 64st Review – Is It The GPS of Your Dreams? The Garmin 64st Review – Is It The GPS of Your Dreams? So you are an outdoor enthusiast. 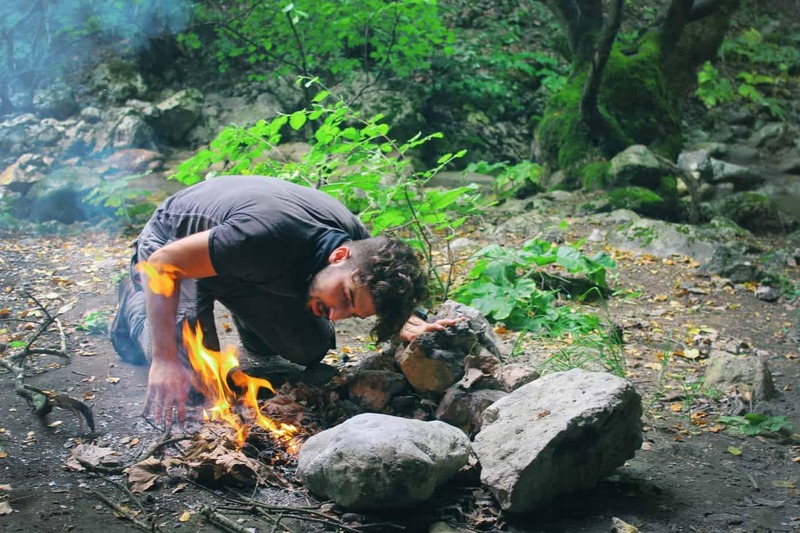 You love hiking and exploring nature. Or maybe you are a prepper, who wants to be prepared when there is an emergency, or some type of apocalyptic event. You have all your outdoor gear ready, but how do you prep for getting from A to B? Well, a good navigation system is a safe bet for never getting lost in the outdoors again. A map is a good option, but it can be bulky, it’s made of paper and therefore gets destroyed when it gets wet. Also sometimes it is difficult to read maps especially if it’s of a large area. Remember those old-school maps where everything was cramped in and deciphering the map required special skills? Fortunately for us, technology has expanded and we have something called GPS. With so many outdoor guides and reviews on GPS navigation devices, it is easy to get confused. Well, don’t worry because this outdoor review of Garmin 64st is guaranteed to make choosing a right GPS navigation device a much easier process. What are the alternatives to this device? The above are just the key features of this GPS by Garmin. We will discuss these points in more detail to make your task of picking up the right navigation system a breeze. This amazing device weighs only 9.6 ounces and has a 2.6-inch high-resolution screen that shows coloured display and is anti-glare so if your on an outdoor adventure is in summer, you can see the screen even with a bright sunny glare. So the screen is big enough to view display and also lightweight and small enough to perfectly fit in your palm. The main body has a total of 9 buttons with one button being the central button with up, down, left and right arrows on it. The Garmin device has a rubber coated exterior that protects the device. The rubber grip also ensures a good grip even if your hands are sweaty or wet. There is a back panel with a micro SD card insert port. This outdoor gear can be paired with 2AA battery, lithium or regular ones, which gives it 16 hours’ worth of usage. It also includes a metal clip that you can use to clip your device to your backpack or belt loop. The GPS on Garmin 64st is highly sensitive and easily gets you where you want to go. 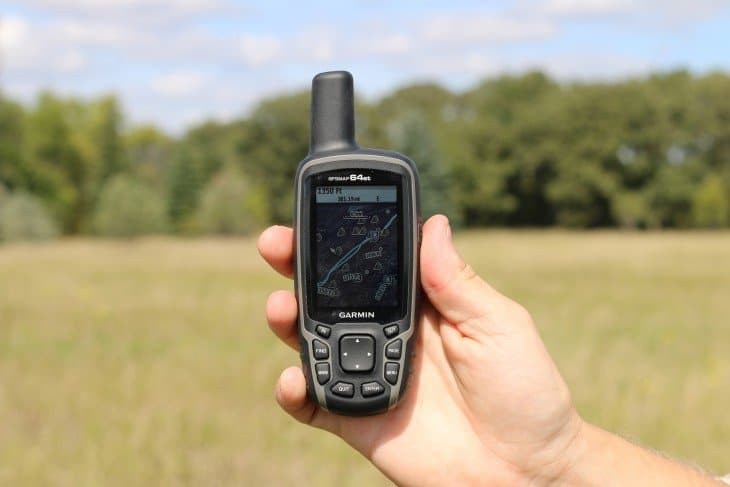 With the added feature of GLONASS which helps to better satellite reception, your new outdoor adventure will surely be one to remember and for all the right reasons. One of the features we like about this device is the addition of an external antenna. The quad helix antenna helps in picking up the satellite reception better and that much easier even if you are exploring canyons, caves or are in a dense forest. 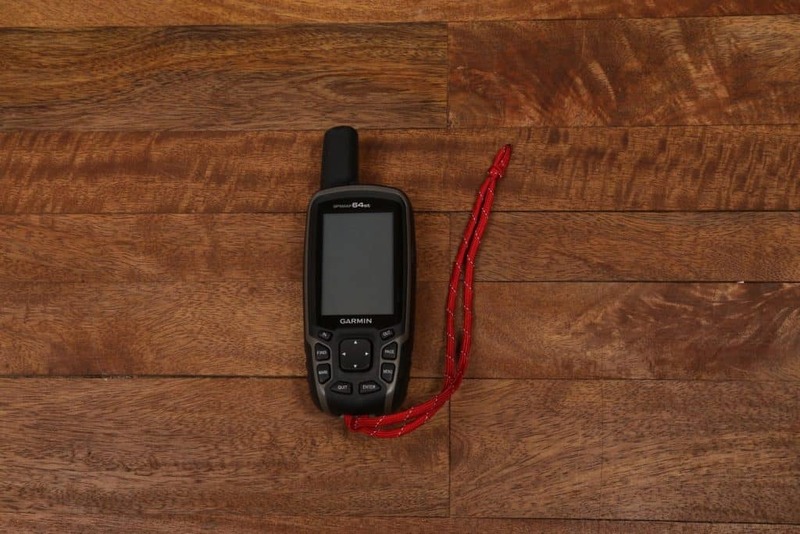 Another great feature of this Garmin device we’d like to include in this outdoor review is that even if you do manage to get lost, this bad boy leaves electronic breadcrumbs that you can easily follow and it will lead you right back to where you started. You can add waypoints of your outdoor adventure from the beginning and the device will remember it and work as a hassle-free outdoor guide. This handheld GPS device has an inbuilt Compass and barometric altimeter. Both these features are highly accurate and help to navigate you through your terrain easily. The compass is 3-axis and therefore there is a reduced chance of error. Although any outdoor aficionado knows that it is important to always keep backup options. That is why it is advisable to always keep your compass at hand just to cross-check. The altimeter helps you to get the feel of the altitude that you will be traversing across and this is very good feature especially for those who don’t mind sneaking in a bit of mountain or rock climbing during their adventure. Barometric changes i.e. changes in pressure are used to give your exact elevation and over time you can plot barometric pressure so you can keep a check on weather conditions throughout your journey. As mentioned, the Garmin 64st comes with preloaded 100K US TOPO maps. TOPO means Topographic maps which is a 2-D visual representation is of elevation. This includes all the territories under the US including Alaska, Puerto Rico and Hawaii. The Garmin 64st device has a prize-winning feature and that is wireless connectivity and Bluetooth pairing. This is a really cool feature as it allows easy transfer of data between compatible devices. If you have a friend or a family member just as enthusiastic as you about enjoying outdoor activities then you can share your favourite tracks, waypoints, routes and other data with the click of a button if they have a compatible Garmin device. The device is compatible with accessories like heart rate monitors, Garmin VIRB action camera and Tempe which is a temperature sensor. This device supports Bluetooth as well. So you can easily pair your phone with this Garmin device and get notifications on your phone. Although you won’t be able to make calls or send texts from this device, you can see your notifications and phone calls and see if there is an emergency call or text. If you are mountain biking or dirt biking you won’t need to make pit stops and whip out your phone all the time to check if there is anything important you missed. This device has access to over 250,000 preloaded geocaches. You can go completely paperless here without any problem. This way you can also save paper and help the environment while making it to your destination without any complications. This outdoor gear is especially useful if you’re the kind of person who doesn’t like to use bulky, cramped maps that require nothing short of mad skills to read and understand. Also with this small outdoor guide for navigation, you will have a plethora of maps from your backpack and save extra space for other outdoor gear that you might need. There is a really unique feature on this device that just had to be included in this outdoor review. You can not only add land maps but you can also add marine maps. If you require an outdoor guide for your latest canoeing or sailing adventure then look no further. This device can guide you there as well. If you are searching for an efficient navigation system that can point you in the direction that you want to go in as you ride your dirt bike then that’s possible too. This device supports roadmaps and will guide you turn-by-turn on road with its vast selection of road maps. And to sweeten the deal, this device is fully compatible with Garmin Custom Maps. This format allows you to scan a physical, paper map and load it onto your device. Not just physical maps, but you can overlay digital maps on this device as well and go wherever you want to go. What more can we ask? This is a heaven for every outdoors orienteer. You can purchase Garmin 64st from anywhere really. You can purchase it from official Garmin Website. You can even purchase it from places like Amazon, eBay, and GPSnation etc. The average cost of this device is somewhere around $ 349 USD, but you can find discounts. This outdoor review really wouldn’t be complete without a pros and cons list. Because no matter how good something is, it’s never really perfect. Wireless data transfer is most certainly a pro in this outdoor guide. The easy and mess-free transfer of your adventure to your friend or family’s device is a sweet deal. Now they can see the same things and be amazed by the same things that you were amazed by. Smart Notification system via Bluetooth pairing that enables you to receive notifications from your phone is another plus for us. It sure makes travelling faster when you don’t have to keep digging in your backpack for your phone. The barometric altimeter is another cool option. When you are hiking through a temperamental environment it is essential to note down the weather changes, and with this feature, you can. The fact that you can add a huge amount of maps is a big bonus. Not only can you add US maps, but other countries like Canada, Ghana, Italy etc. You can add these maps by purchasing it as a micro SD card directly from Garmin or use various software to do it. The availability of marine maps as well as road maps is another plus. Again, you can purchase these maps from Garmin itself or sync your device with Google Maps. 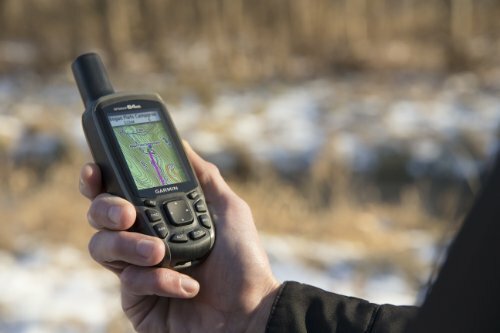 One of the best features of this device is the fact that you can scan the physical or digital map and use those for your upcoming adventures. You can do this by using Garmin Custom Maps format or using a micro SD card, there are really good ones available on the internet preloaded with different maps. You can even transfer maps from a CD if you want. The capability of this device to leave electronic breadcrumbs to get you back to start is a great tool. In case you forget your way back or get lost, you can use your marked waypoints and trace your way back. We really love the external antenna on this device, it means that whether you are near tall buildings or in thick forests or underground canals, you can get a good reception. The GLONASS reception is an added advantage as it will give an even better satellite reception. The accuracy of this device in case of its navigation or compass or altimeter is great. 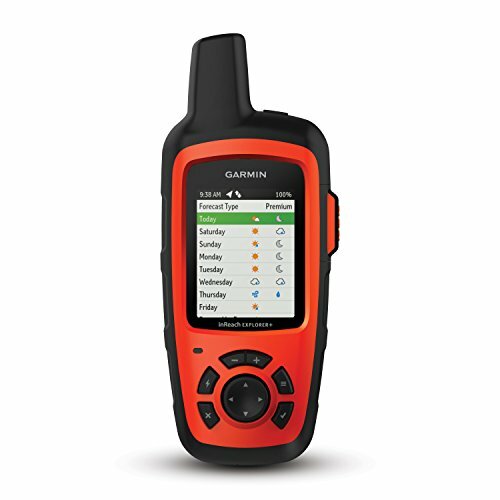 It is compatible with other Garmin units and other accessory sensory devices and that gives it a few extra points in our outdoor guide. Often times after a long and hard climb or trek, our hands become very sweaty and because of that the hand cannot grip smooth objects very well, but fortunately for us, this device has a rubber external coating and it just ensures a better grip. Did we mention that this device is waterproof? Well, if we didn’t then here it is now. Garmin 64st is a fully functional waterproof device so you can use this device in your water adventures without worrying about it getting damaged. This might sound a bit off the charts but, we really like the button features that this device has. In winters when it snows and you love skiing or snowboarding, then you can use this device without having to take off your gloves each time you want to use it as in the case of devices with touchscreen. One of the things that we did not like about this device is its display screen. Maybe we are spoiled by the high-resolution screens that smartphones display because looking at this screen seems a bit of a blast from the past. It’s not too bad but it definitely takes a point off. Setting up your device could be a bit of task. The 18 page long instruction manual doesn’t give each and every detail and if you are a newbie and this is your first rodeo then it is a time consuming and slightly frustrating experience. 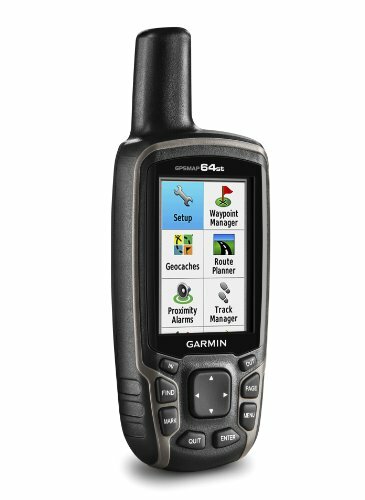 But you can always contact the Garmin customer service if you have any queries or search the internet to use your unit effectively. You know what a huge bonus would have been? A built-in camera. But this device does not have a built-in camera and that is just something they should think of adding to this device. While you can record your trails but in order to do that you need to delete or transfer any previous trails to your PC and that is a bit of a turn-off. This device has only 16 hours of battery life so you cannot use this device for a very long period of time. If you do want to use it then you would need rechargeable batteries which brings us to the next con. Another disadvantage is that if you do manage to get lost, it would have been cool if this device had some sort of distress signal to lock in on your position and send help. But this device does not have that feature and that is another disadvantage. Have to use Garmin rechargeable batteries. There are several alternatives to this device. We have added some of those alternatives here. These are some of the best handheld GPS alternatives to the Garmin 64st unit. This device is priced a little less, it is just as reliable as Garmin 64st and just as accurate. This device too can pair with your smartphone and has features like GLONASS, built-in compass and altimeter. This device is a little on the expensive side. It has a touch screen and rich features like better user interface and more user-friendly, has an integrated antenna and is more sleek. This is cheaper than all the above options and it also has a battery life of 25 hours and is water resistant. The extended battery life is a huge plus in our books. But this device does not have a built-in Compass and barometric altimeter. But it’s highly accurate and at the end of the day that is one quality that a GPS worth its money must have. This one is again towards the expensive side. But it is worth it. 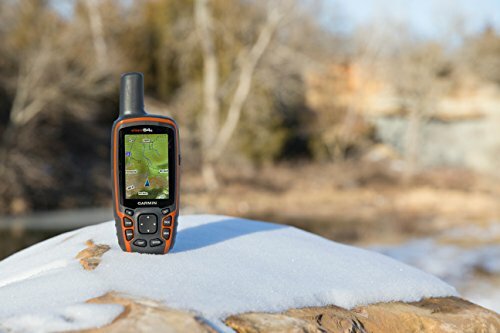 It is a true handheld GPS as it has an SOS system and satellite messenger capabilities. A true union of GPS, satellite messenger and SOS device. This device has an impressive battery life of 100 hours, a huge plus from us. So these were some of the alternatives to Garmin 64st that we really like. There are questions that are frequently asked, so we will try to answer some of these questions in this outdoor guide. Q. Can the Geocache files be deleted? Yes, you can delete the preloaded geocache files to make more space and you can even load new geocache files if you want to from various sites online. Q. Does this device support Military Grid Reference System? Yes, Garmin 64st device supports the Military Grid Reference System. Q. Can this device be used for fishing? You can indeed use this device for fishing as well. If you do decide to use it for fishing, be sure to protect your device with a good cover or case. You can use this device to mark places where good fishing can be done. Q. Is there any sort of subscription required to use this GPS? No, you do not need any subscription to use this GPS as it comes with 100K preloaded maps. You only need a subscription if you want to add more maps or maps that are more detailed. Q. Does this device work on Windows 10? Yes, this device works perfectly well with Windows 10. Q. Can this GPS be used anywhere in the world? 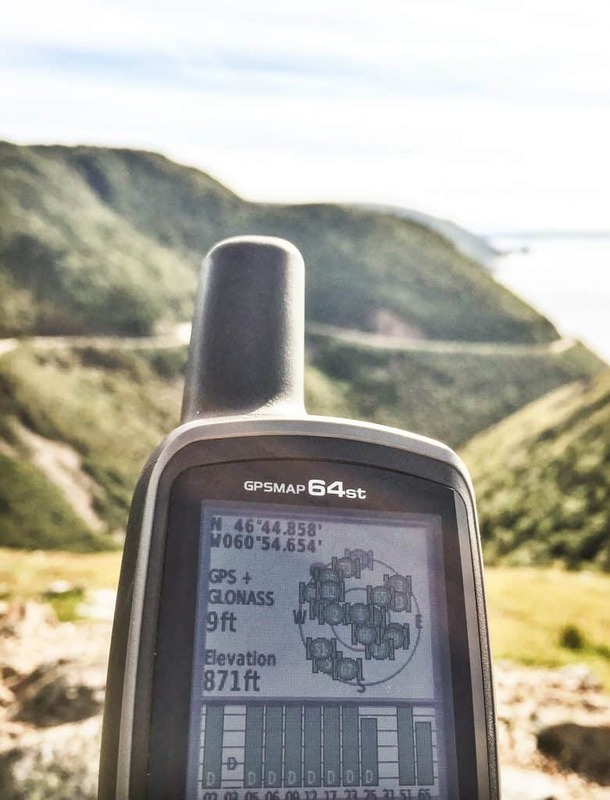 Yes, you can use this GPS anywhere in the world as long as you have extra added on maps. You can purchase maps of places you want via Garmin or use a software or a micro SD card. Q. Can this device be used to plot property boundaries? Yes, this device can be used to map areas really efficiently. It has an area calculator feature which makes it easy to use for this purpose and if you have grid coordinates than this task becomes easier. Q. Can latitude and longitude coordinates be entered on this device? Yes, you can use this device to enter latitudes as well as longitudes. All you have to do is press “Mark” button and change the coordinates to your desired location. Once done, press the “Done” button and you are good to go. So after spending hours with this device, we think we are confident enough to give our honest opinion. There were some things we really loved and some that were hit and miss. Firstly, as a GPS device, it does what it is supposed to do and quite efficiently. 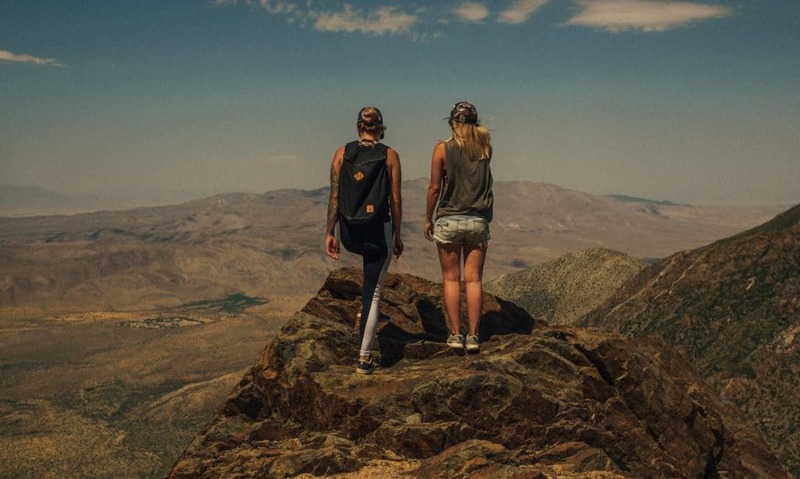 The wireless addition is a huge advantage because you can share your adventures with your loved ones without having to manually share them using a computer. Here, you just press a button and that will be it. The Bluetooth connectivity is pretty awesome too, as all your notifications are displayed on your smartphone so no more awkward digging in your backpack anymore. We liked the external antenna. Some people don’t like it but each person has their own specific need. For us, this was a definite plus as now we are assured that we have a good satellite reception no matter where we are. The added GLONASS is really cool as it improves upon the satellite receptor and gives a better reception. 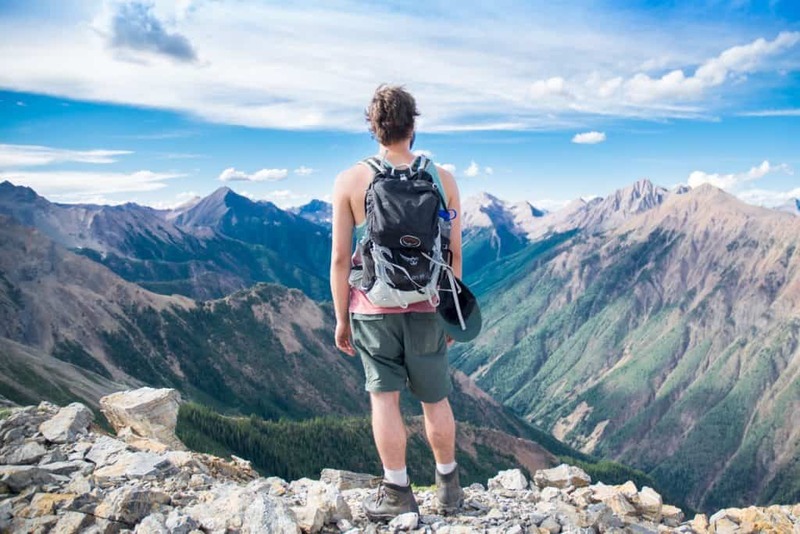 You can get a good, strong satellite reception even if you are underground which just makes it a very important tool to have especially when hiking in thick, dense woods or exploring underground canyons. We liked that there highly detailed TOPO maps preloaded on this device and that you can add more although, they could have added more space so that more maps can be stored. An added camera wouldn’t have hurt, it would have been a cherry on top of the cake. A beacon or a distress SOS signal of some kind would be great. It would make it easier to use this device. While we are on the topic of easy, a better user interface would definitely be a good thing. We really liked the buttons on this device. Again, some people like the sleek touchscreen look, but we don’t mind this. It means that this device can be used just as easily in winter conditions. The good thing about this device that we cannot help ignore is that its accuracy. That is one of the key features you look for in a good GPS device is accuracy. This GPS device is highly accurate and easily gets you where you need to go. It is waterproof and therefore can be used when your adventure takes you to oceans and seas. The vast array of maps available is an awesome feature. It is important for any GPS device to offer a diversity of maps and this device definitely does that. So those are some of the things we liked about and disliked about Garmin 64stdevice. It is one of the best options out there and a really good companion for your next adventure! Further read, The Best Hiking GPS!